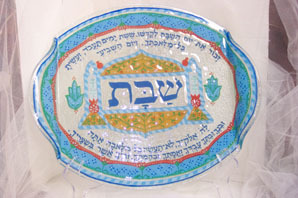 A collection of precious items used in the homes of the Adelaide Jewish Community. 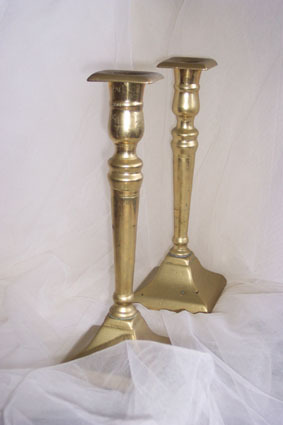 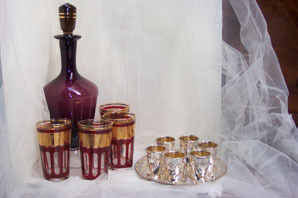 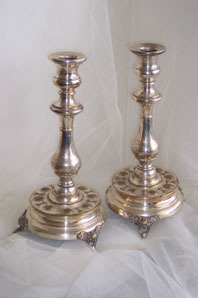 Traditional Shabbat candlesticks used in Leanda and Barbie’s homes. 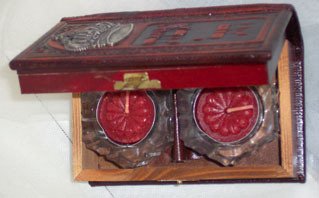 This set of Shabbat candles loaned by Chani is made specifically for travel. 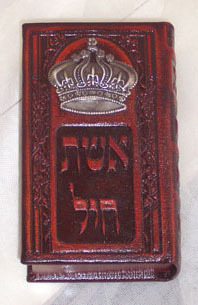 When closed it looks just like a book but when opened one can see the Shabbat candles waiting to be kindled. 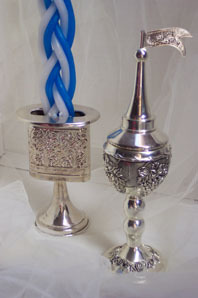 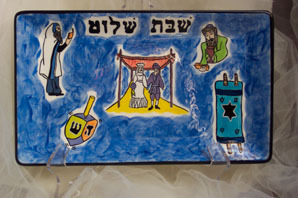 Above Left: Havdalah Candlestick and Spice Holder. 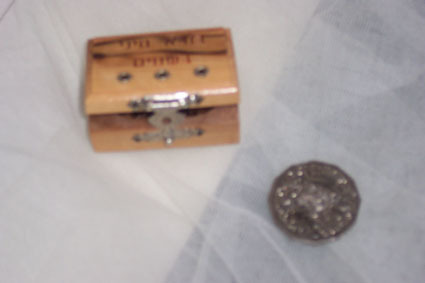 Above Right: Miniature Havdalah Spice box, photographed next to a 50c coin! 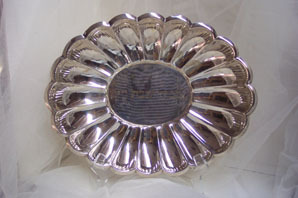 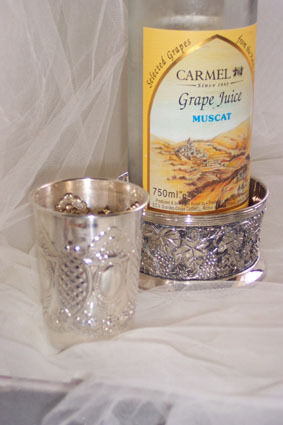 Above left: Chani’s besutiful silver Kiddush wine holder and a Kiddush cup from her Shabbat table. 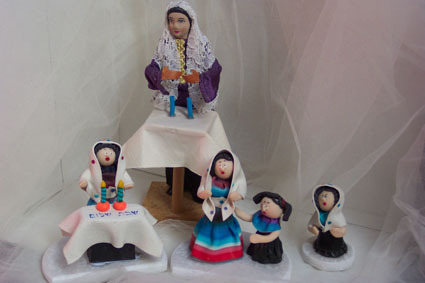 Viv and Allen’s Adorable Shabbat Statuettes.